Results on this page should be read by holders of ordinary share capital in HSS Hire Group plc as they provide consolidated results at the highest level within the HSS Hire Group plc group of companies. Holders of the Senior Secured Notes issued by HSS Financing plc should refer to the financial results for Hero Acquisitions Limited. 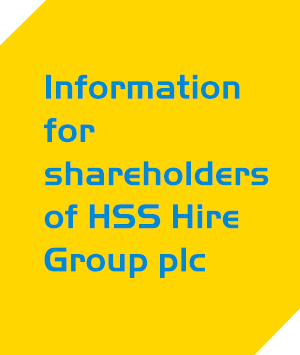 Financial results provided on this page for any financial period after the 27 December 2014 are for HSS Hire Group plc. The ordinary share capital of HSS Hire Group plc was admitted to the premium listing segment of the Official List of the UK Listing Authority and to trading on London Stock Exchange’s main market for listed securities under the ticker “HSS” on 9 February 2015. HSS Hire Group plc (“HSS” or the “Group”) today announces results for the year ended 29 December 2018. HSS Hire Group plc (“HSS” or the “Group”), today announces an update on the performance of the Group for the 13 week period ended 29 September 2018. Investor presentation related to the conditional agreement with Nationwide Platforms Limited, a wholly-owned subsidiary of the Loxam Group, with respect to the sale of UK Platforms Limited, for a total Enterprise Value of £60.5 million. HSS announces that it has entered into a conditional agreement with Nationwide Platforms Limited, a wholly-owned subsidiary of the Loxam Group, with respect to the sale of UK Platforms Limited, for a total Enterprise Value of £60.5 million. HSS Hire Group plc (“HSS” or the “Group”) today announces results for the year ended 30 December 2017. HSS Hire Group plc (“HSS” or the “Group”) issues the following update ahead of the publication of its full year results for the 52 weeks ending 30 December 2017 on 5 April 2018. To listen to the recording of the 11.00 Strategic Review Presentation session, please click on the ‘Listen’ link. To listen to the recording of the 9.00 Strategic Review Presentation session, please click on the ‘Listen’ link. HSS Hire Group plc (“HSS” or “the Group”), is hosting an event in London today, 7 December 2017, where management will update bondholders and equity investors on the outcome of the Group’s Strategic Review. HSS Hire Group presented its third quarter trading update on 29 November 2017. The Company today published a circular containing a notice convening a General Meeting relating to proposed amendments to the Company’s Long Term Incentive Plan for awards in respect of the 2017 – 2020 performance period. HSS is pleased to announce a pre-close trading update for the 13 weeks ended 1 July 2017. HSS Hire Group plc (“HSS” or the “Group”) announces an update on the performance of the Group for the 13 week period ended 1 April 2017. HSS Hire Group plc announces that it has conditionally placed 15,445,238 new ordinary shares in the capital of HSS at a placing price of 83.875p per New Ordinary Share with certain existing institutional shareholders to raise approximately £13.0 million before expenses. HSS Hire Group plc (“HSS” or the “Group”) today announces results for the 27 week period ended 2 July 2016. HSS Hire Group plc is pleased to announce the appointment of Paul Quested as Chief Financial Officer. Paul will join the Group and become an Executive member of the Board with effect from August 22nd 2016. HSS Hire Group plc announces an update on the performance of the Group for the 14 week period ended 2 April 2016. HSS Hire Group plc (“HSS” or “the Group”) today issues the following trading update for the financial year ended 26 December 2015. HSS Hire Group plc announces an update on the performance of the Group for the 39 week period ended 26 September 2015. 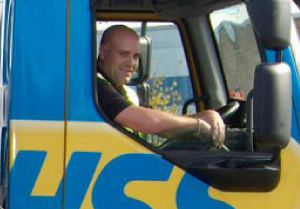 HSS Hire Group plc today announces results for the 26 week period ended 27 June 2015. HSS Hire Group plc today issues the following pre-close trading update for the six months to 27 June 2015. At the AGM of HSS Hire Group plc held today at 2.30 pm at Haberdashers’ Hall, 18 West Smithfield, London EC1A 9HA, all resolutions set out in the Notice of Meeting, with the exception of resolution 6 which was withdrawn, were voted on a poll and were passed by the requisite majorities. 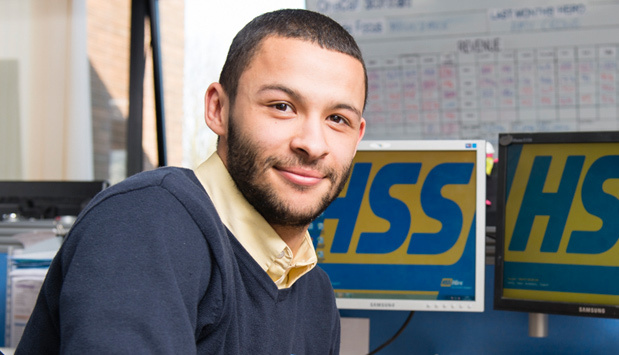 HSS Hire Group plc announces an update on the performance of the Group for the 13 week period ended 28 March 2015. HSS Hire Group plc announces that it has today published its Report of the Year 2014 and accompanying Corporate Responsibility Report. The Company also announces that its Annual General Meeting will be held at 2.30pm on 16 June 2015 at Haberdashers’ Hall, 18 West Smithfield, London EC1A 9HQ. HSS Hire Group plc (“HSS” or the “Group”) today announces results for the year ended 27 December 2014 for Hampshire Topco Limited, the holding company of the Group prior to the listing of new parent company HSS Hire Group plc on the London Stock Exchange in February 2015. HSS Hire Group plc will announce its full year results for the year ended 27 December 2014 for Hampshire Topco Limited, the holding company of the Group prior to its listing on the London Stock Exchange in February 2015, on Monday 20 April 2015.